Start with an HTML page containing three boxes. A drop shadow can be applied to an element using just as few as three values. 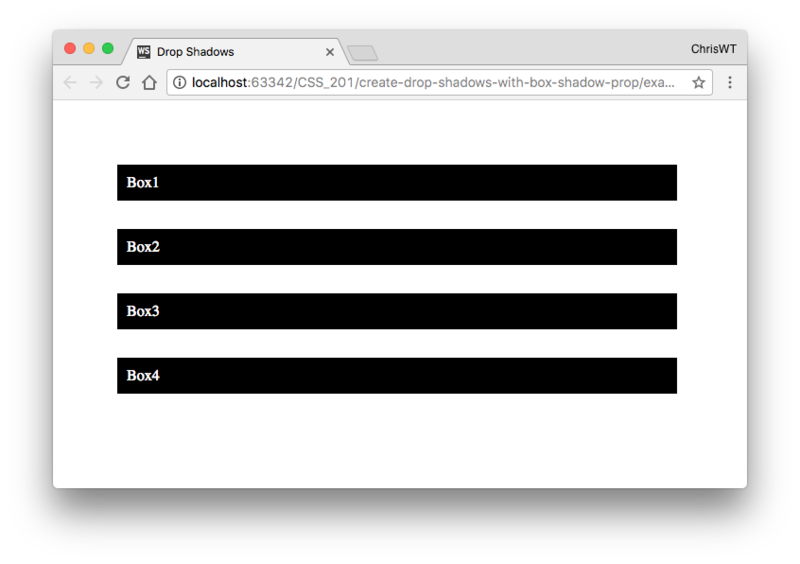 To create a simple drop shadow, add the following box-shadow property to box1. The first value (5px) is the horizontal offset, or how far to the right the shadow falls. The second value (10px) is the vertical offset, or how far down the shadow falls. The third value (#000) is the color of the shadow. 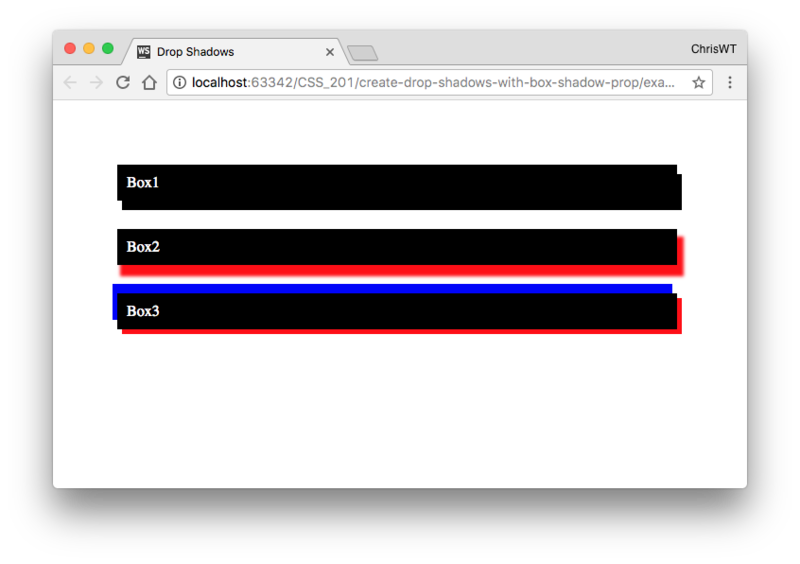 Note that the horizontal and vertical offset values can be negative, to display the shadow to the left or top of the element. Create a more complex and realistic shadow with the addition of two more values before the color: the blur radius (4px in the following example), which gives the shadow a "fuzzy" edge, and the spread distance (2px in the following example), which extends the shadow away from the element in all directions.